Lincoln Barrett really loves movies. Invited into his spacious house in the town of Penarth, minutes from central Cardiff, it’s impossible not to notice the plethora of film memorabilia in every room. 1960s Italian film posters hang on his walls; the area below his home studio is a screening room with a video projector; and we notice that the gift of an obscure ’70s thriller DVD is waiting for him on his doormat outside. Cinema is a big passion, but it’s long since been eclipsed by his main preoccupation. If there’s one thing Lincoln Barrett, aka High Contrast, likes more than the movies, it’s D&B. Among the most instantly recognisable producers in the sphere of D&B, Lincoln’s original take on the genre has proven immensely influential ever since he first emerged in 2002 with the soul-infused ‘True Colours’ album on London Elektricity’s Hospital label. Ever an outsider on the peripheries of the tight-knit D&B scene, he’s a true auteur, working alone to realise his singular vision. All his releases have been panoramic in scope, and, with their movie samples and widescreen atmospheres, they bear the hallmarks of a film obsessive. As we sit in his kitchen drinking coffee, it’s quickly evident that Barrett is confident in his abilities. But he’s also warm and friendly, an unassuming, articulate interviewee. 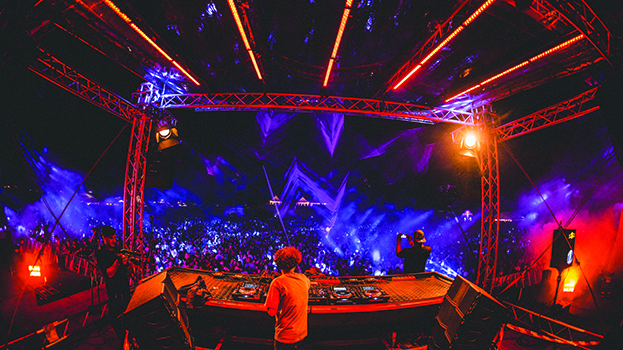 With his shock of big hair, he’s a charismatic presence, and a global star in dance music full-stop. Lately though, his silhouette’s become increasingly ubiquitous, like that of his director hero Alfred Hitchcock. 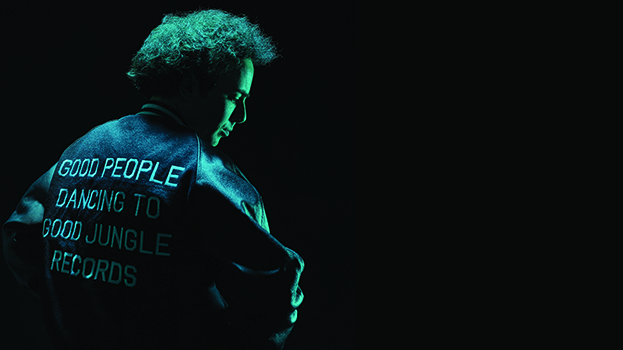 High Contrast has signed to the 3 Beat label (home to Sigma; it’s also released records by Skepta and Martin Solveig in the past), through which he’s released the massive hit single ‘Remind Me’. The tune’s been rinsed on Radio 1’s A-list and proclaimed Annie Mac’s ‘Hottest Record In The World’. Following his last album, 2012’s ‘The Agony & the Ecstasy’ which featured collaborations with Tiësto and Underworld, the unique D&B producer seems like he’s becoming less Wes Anderson and more Michael Bay. Except, ‘Remind Me’ is classic High Contrast. With its emotive string parts, chattering D&B breakbeats, electro bass and huge interpolation of Aretha Franklin (a re-sung vocal of her ‘One Step Ahead’, the same sample used in Mos Def’s hip-hop classic ‘Ms Fat Booty’), it’s a more polished version of the sound he’s delivered in various forms over the years — like a cousin of the classic ‘Return To Forever’. Lincoln agrees, and, he says, made the tune in that mindset. Of course, D&B is in an unprecedented position right now. It’s been taken to the top of the pop charts recently by the likes of DJ Fresh, and D&B duo Sigma have just collaborated with (not so boyish) boy band Take That, a notion previously unthinkable in the realms of this most underground form of music. The extra exposure High Contrast is currently enjoying is attributable in some degree to this new commercial viability for D&B, and Lincoln doesn’t see it as a bad thing. ‘Remind Me’ is just the beginning. Lincoln is ready to unleash a cavalcade of new music. There’s a forthcoming album, ‘Night Gallery’, dropping next year, alongside accompanying EPs and singles. All feature non-album tracks. Where the album conflates several of High Contrast’s signature sounds — rolling beats and bass, emotive soul touches, funk samples and glinting, metallic electro surfaces — there is a greater refinement of production evident, too. The ghost of his trance and techno collaborations haunts the new music, and there are some other unexpected touches. The tracks ‘Ambient Recovery’ and ‘I’ll Get High’ are at house tempo, the latter noticeably a 4/4 club cut. Though he’s dabbled with house in the past as Two Fisted Tales, and has incorporated house influences since the beginning, releasing these beat experiments under the High Contrast banner represents a new chapter for Lincoln. Arguably even more radical is the track ‘Don’t You Go Out Of My Mind’. Though D&B speed, it’s laced with shimmering, psychedelic, shoegaze indie guitar and synths, all the more astonishing when you find out they’re the work of Lincoln, who, though he’s classically trained, only recently picked up the guitar for the first time. We sit in Lincoln’s studio listening to the new music. It takes up a room in his old house, attached to where he currently lives. Over in one corner is a new acquisition, a Fender Rhodes keyboard, with a curious, amazing sounding in-built phaser modification for instant Lonnie Liston-Smith goodness. “A few of my tunes, like ‘Twilight’s Last Gleaming’, have that sound, ’cause I love [jazz funk Argonaut] Bob James. I don’t know why it’s taken me this long to get a real Rhodes!” he smirks. An Arturia MiniBrute analogue synth sits on his desk, where his computer and monitors are, and he shows DJ Mag various compressors and old ’60s effects units he runs his sound through, to get a vintage feel. He plays us other tracks destined for the EPs, pointing out that sonically they would jar too much with the aesthetic of the forthcoming album. There are two tough electro cuts, quite unlike anything he’s done before; one sounds like Dog Blood or Boys Noize at his roughest, and the other is a slasher horror smack-down, replete with scary film samples, entitled ‘Don’t Go In The House’ that would tear festival crowds a new one. Even more outré is a garage rock caper, cranked up to D&B tempo, that could easily pass for a prime nugget of late ’60s Americana, were it not for the production. This music, more so even than the album tracks, suggests that Lincoln no longer wishes to be bound by the constriction of genre. It’s evident that Lincoln adores D&B as much as ever, it’s just, he also loves jazz-funk, house, electro, techno, rock and classical too. D&B was his first musical love and it’s something that still moves him more than any other style. Born and raised in Penarth, Barrett developed a love of film as he grew up, and studied cinema in the nearby city of Newport. Whereas he briefly sung in a metal band, music was a secondary concern until he came upon D&B and it changed his life. Notably, it was the filmic quality of the music that first had him hooked. 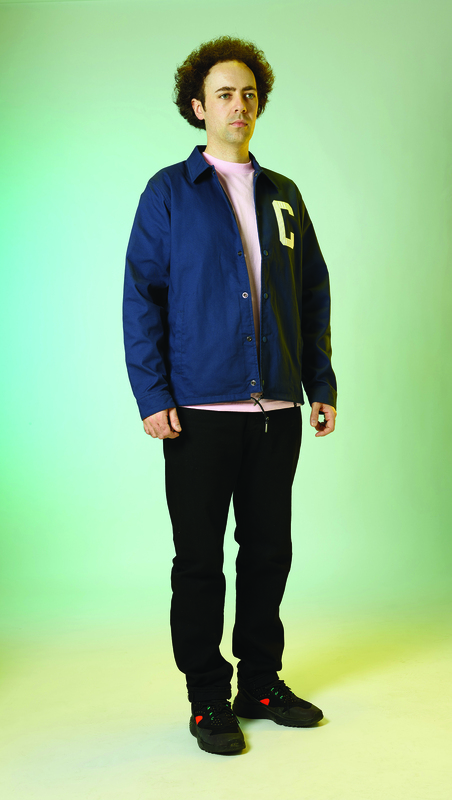 Working part-time at the Catapult record shop in Cardiff and focusing on DJing and production, in 2002, he was snapped up by Hospital and released the game-changing ‘True Colours’ LP. He went from studying to touring the world, with literally no time to adjust. ‘True Colours’ was a brick dropped in a stagnant pond, shaking up the D&B scene. Like Hospital label-heads Tony Colman (London Elektricity) and Chris Goss, High Contrast kicked against the prevailing tech-step sound, but took the soulful element further, bringing in vibes from disco, funk and, shock horror, house, and aiming to bring a little colour and, yes, contrast to a monochrome era. “I’ve always been a contrarian,” he admits. “When other people would zig, I’d zag. The D&B at that time was very masculine, very dark tech-step stuff and it left me cold. The D&B I got into was generally older jungle stuff and the LTJ Bukem kind of things. When I started working in the record shop, that was really an education, ’cause up until that point I’d had no interest in house whatsoever. An instant classic, 'True Colours' transformed High Contrast into one of the biggest artists in the genre, while the follow up, ‘High Society’, contained the massive, hyper-speed sunshine funk of ‘Racing Green’ and the deeper ‘Twilight’s Last Gleaming’, and blew up his status even further. 2007’s ‘Tough Guys Don’t Dance’ (another filmic reference) had his fiery D&B lick of b-boy anthem/heavy rock classic ‘In A Gadda Da Vida’ by Iron Butterfly/Incredible Bongo Band, and the influential, modern take on jungle, ‘The Ghost Of Jungle Past’. Remixes the following year, though, of Adele’s ‘Hometown Glory’ and Eric Prydz’s ‘Pjanoo’ placed him in a different milieu. For the first time, he was crossing over beyond D&B audiences and towards fans of pop, a hint of his future dabbling in that direction. Like his attitude towards Sigma’s Take That collabo, High Contrast sees nothing wrong with pop, and finds it galling when people get dismissive of it. “If I love a track I want to take it, consume it and put it out as my own kind of thing, but also have that contrast of maybe taking a pop song and turning it into a D&B track. It’s that high and low contrast that I like. I’ve always loved pop music. There’s underground tracks I love and total pop tracks I love, I’ve got no prejudice about where something is coming from in the culture as long as I connect with it. 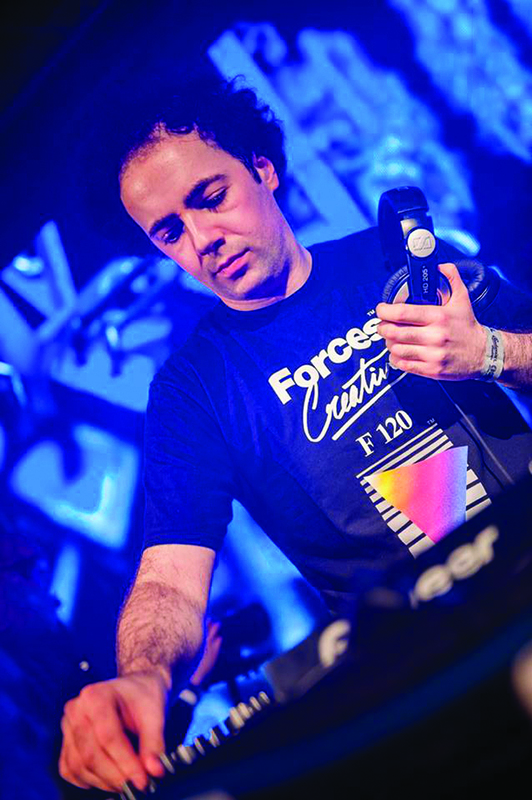 In 2012, High Contrast reached his biggest audience ever, with millions of people exposed to music he produced especially for the London 2012 Olympics opening ceremony. Working with Underworld, he experienced a new level of exposure that he’s still stunned by, and learnt a lot from the producers who’ve since become good friends and regular collaborators. While Underworld appeared on his track ‘The First Note Is Silent’, Lincoln also produced ‘Scribble’ for Smith and Hyde’s ‘Barking’ LP. Underworld’s disregard for genre and heart-on-sleeve, emotional records have clearly been an influence on High Contrast of late. One of High Contrast’s new tracks is an Underworld cover, of their early instrumental techno classic ‘Rez’. Speeding it up, Lincoln takes the track on a completely new trajectory, adding epic chords that elevate the tune into the stratosphere. It’s gigantic — you can picture it absolutely erupting at a live show. The latter is something that Lincoln’s been focusing upon recently. Whereas DJ sets were his bread and butter, his ambitions are now taking him into the live domain. What emerges from a deep discussion with High Contrast most of all is not just his love of music, but also his strong sense of sonic identity. Though he’s not become a film director, in his music and his career, he resembles one: the artist always striving to better his last work, and produce a masterpiece.